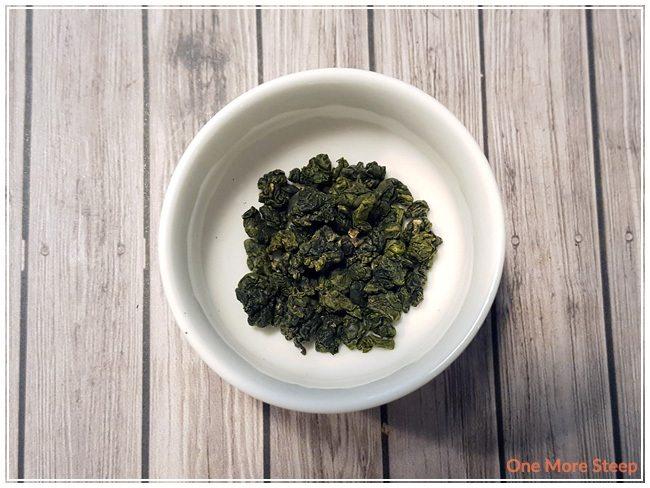 Oollo Tea has provided me with Qingjin High Mountain Oolong for the purposes of providing an honest review. I received this product at no charge to me and received no other compensation. It’s time for another oolong steeping session! I’ve taken to having oolong when waking up after I sleep off the ill effects of working night shifts. There’s a certain sense of mindfulness that I go through when steeping tea, and the process of steeping and resteeping oolong works for me while I adjust back to a normal sleeping pattern. 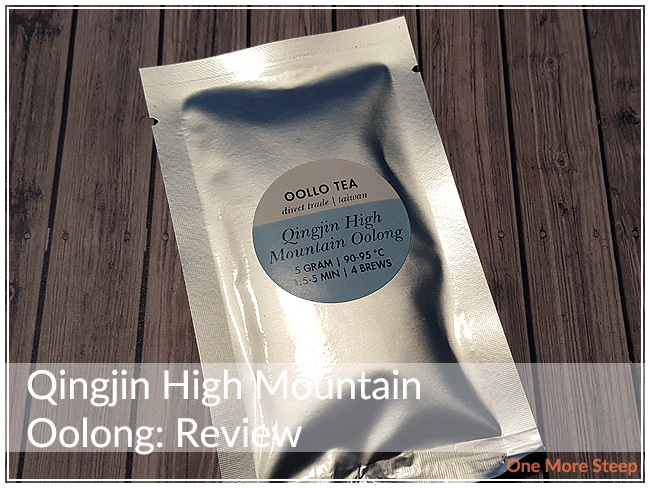 Today’s review is of Oollo Tea’s Qingjin High Mountain Oolong. It’s pretty gorgeous with a beautiful deep olive green colour in the leaves that are so tightly pressed together. The dry leaves have a fragrance that reminds me of flowers and there’s a subtle vanilla aroma to it that is enticing – much like the smell of vanilla in a kitchen when baking. On their website, Oollo Tea describes this as a Qingxin Oolong that is grown in Qingjin, Nantou, Taiwan at 1600m elevation. According to Wikipedia, Nantou is a region known for producing high quality oolongs. The smell and look of this dry leaf is exciting. I’ve become quite fond of oolongs over the last year so I’m looking forward to trying this one. On the packaging, Oollo Tea suggests steeping Qingjin High Mountain Oolong in 90°C (194°F) water for 1.5-5 minutes. On their website, the steeping instructions are for 2-5 minutes in 90-95°C (194-203°F) water. I opted to steep it in 90°C (194°F) water for 2 minutes for the initial steep. The sample packet contains 5g of tea, I used half of it for my tea pot (DavidsTea’s Tea For One). Qingjin High Mountain Oolong steeps to a pale yellow for the initial steep. I love watching tightly rolled leaves unfurl in hot water, it’s very relaxing to watch. There’s a delightful floral smell to the steeped tea, with subtle vanilla notes that are very inviting. With my first taste, the quality in the tea that I notice first is the creamy taste and texture. There’s a smoothness to this tea that makes it very easy to drink as it goes down well. There’s no bitterness or astringency, and I find that the floral and vanilla notes blend well with the buttery creaminess that I’m finding in this tea. The packaging from Oollo Tea suggests that it can be steeped up to four times, so I do take this as a challenge. I steeped Qingjin High Mountain Oolong an additional five times, increasing the steep time by 30 seconds for each subsequent steep. The colour of the tea got sequentially darker for steeps 2 and 3. The colour and flavour starts to decrease in steep 4 and I found that steep 5 was still tasty, but beginning to lose that impact with the well-blended mix of floral and vanilla that I so loved with the initial steeps. 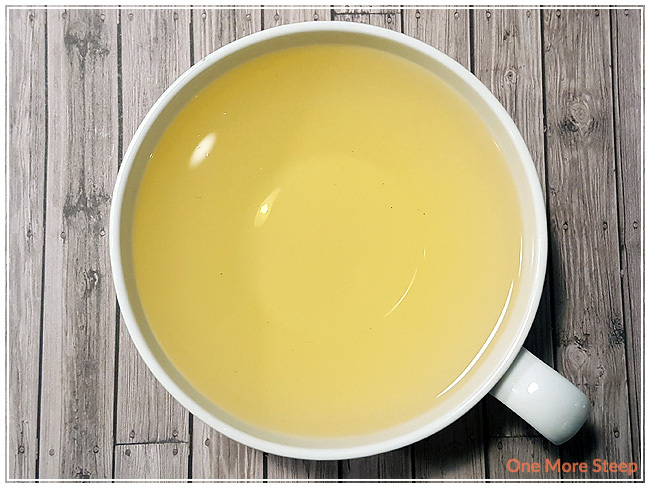 I would say that Qingjin High Mountain Oolong is good for at least five steeps total – maybe even more if you had the time to drink cup after cup. 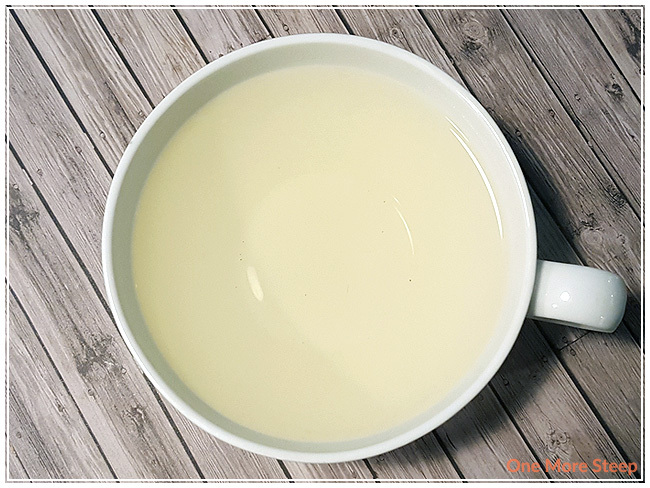 I loved Oollo Tea’s Qingjin High Mountain Oolong. I loved watching the leaves open up and seeing how big they could get. A small amount of this tea goes a long way in terms of flavour and I found that I didn’t need a lot of it in my pot to get a good amount of flavour. The floral and vanilla flavour combination is divine and I think it’s quite enjoyable. It’s definitely a tea that I would steep again after a day off after a long night at work as it’s just delicious and relaxing. 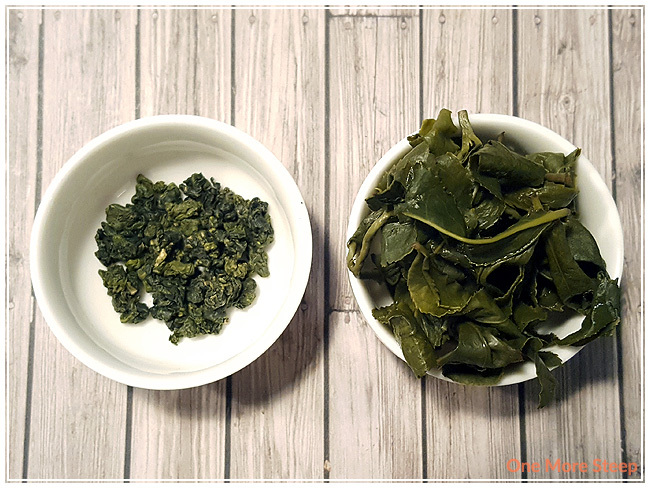 The quality in the leaves is evident in its ability to resteep, which is something that I always look forward to with oolongs and Qingjin High Mountain Oolong does not disappoint. I enjoy watching oolong leaves unfurl too. There’s always an “oh” moment when the small amount of tightly rolled leaves becomes a mass of much bigger seeming leaves. It’s definitely one of my favourite parts of drinking loose leaf tea. It never ceases to amaze me how tightly rolled leaves can be!